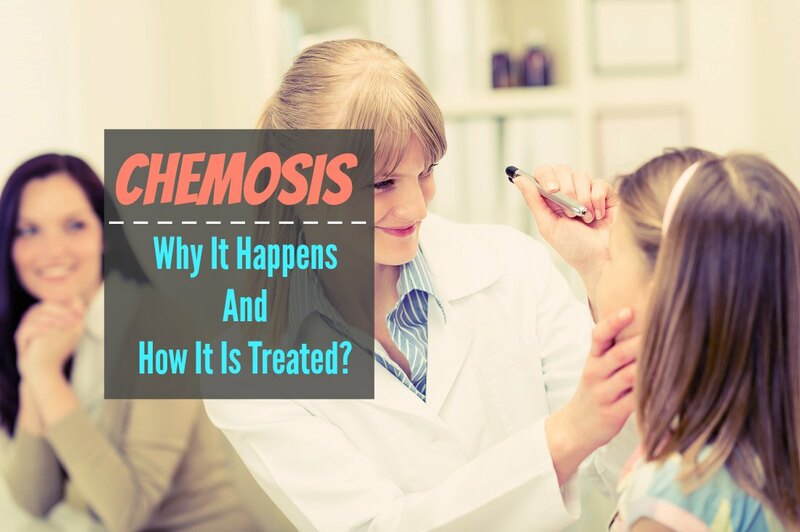 Home » Blog » Chemosis – Why It Happens And How It Is Treated? Chemosis – Why It Happens And How It Is Treated? The condition is also sometimes called swollen eye conjunctiva or fluid-filled conjunctiva (2). The conjunctiva is the lining of the inside of the eyelid. The same type of lining covers the surface of the eye. 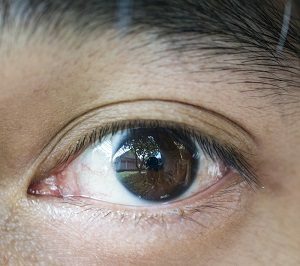 If the conjunctiva becomes swollen, the condition is referred to as chemosis. The disorder is unsightly, uncomfortable, and, unfortunately, fairly common. According to OnlineMedicalDoctor chemosis occurs when the small capillaries of the eye become swollen and red. (3) The eye becomes unable to move water and gasses through the skin and swells. In some cases, the conjunctiva will appear, as if it has liquid in it, giving it a gelatin-like appearance. The eyeball may even occur as if it has moved in the eye socket. In many cases, chemosis is caused by allergies. In more severe cases, the disorder may be caused by infection. A person with this disorder tends to feel like there is dirt or some other irritant under their eye. Thankfully, chemosis of the conjunctiva is not contagious in and of itself, though an infection can accompany the disorder. Usually, the condition’s symptoms clear in a few days. What Causes Chemosis of the Conjunctiva? Allergies. According to RightDiagnosis, allergies are one of the most frequent causes of this condition. (4) Irritation and itching from allergies causes swelling, redness and discomfort in the eyes. Angioedema, which means a swelling under the skin of the conjunctiva. An Angioedemas is like allergic infections and tend to appear around the area of the eyes and mouth. A yellowish discharge with irritation and a watery look in the eye are indications of angioedema. Eye infections, both bacterial and viral. The eye swelling and redness can sometimes accompany viral and bacterial eye infections. (6) When you believe you might have a bacterial or viral eye infection, don’t touch your eye area as you might be contagious. While chemosis by itself is not contagious, chemosis with an infection is contagious. Rubbing your eyes. According to New England Medical Center, rubbing the eyes causes them to become irritated. (7) The more rubbing that occurs the more symptoms of chemosis increases. Hard as it may be, one shouldn’t rub their eyes if they are irritated, as their eyes will just become more irritated, itchy and red. Eye surgery. If you have had eyelid surgery, eye surgery or an eye trauma, you may develop this condition. (8) Some of the types of treatments for chemosis due to trauma or eye surgery include eye drops, an eye patch or in severe cases, conjunctivaplasty. In conjunctivaplasty, the surgeon removes excess loose conjunctiva. The symptoms are related to the collection of fluids in the conjunctiva of your eyelids and eye. » An inability to close your eyes due to eye swelling. If you experience one or more of these symptoms, contact your physician or eye doctor right away! Usually chemosis resolves within a few days. To make be more comfortable during these first few days, you can use common sense treatments. If your eyes are irritated and sore, take pain medication such as ibuprofen or naproxen sodium to relieve swelling and pain. Cold compresses are also a soothing way to ease your eyes, reduce the redness and reduce swelling. Hydrating eye drops will relieve that dry or irritated feeling. If you have just had eye surgery such as cataract surgery, consult your eye doctor about how to treat the swelling in your eyes. But if the swelling, itching and other symptoms don’t improve using these simple home methods, you’ll need to contact your doctor for more treatment options. Much of the treatment of chemosis revolves around reducing the swelling in the conjunctiva. Lessening the swelling in the eye makes it more comfortable and improves your vision if it has been hampered by the disease. One of the ways physicians reduce a person’s eye discomfort when they have chemosis is to prescribe medicated eye drops. These drops lubricate eyes and reduce swelling. If you wear contact lenses, discontinue their use during treatment and wear your eyeglasses instead to prevent further eye irritation. 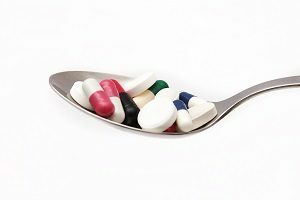 Allergy medications such as antihistamines may be prescribed or recommended. Antihistamines will reduce any allergic reaction occurring in your eyes and eyelids. Also, you should avoid contact with any known allergens if at all possible to prevent further irritation. » Environmental allergens such as chemicals that may irritate your eyes. » Pets and pet dander. » Smoke from tobacco products as well as other sources of smoke. Your doctor may instruct to take an over-the-counter medication for allergies or may need a prescription for antihistamines if your allergies are severe. Unfortunately, if you have a viral infection as well as chemosis, there is no specific treatment. Usually viral infections and chemosis are treated with lubricating eye drops and cold compresses. If you have a bacterial eye infection, be sure to wash your hands and avoid touching your eyes so you don’t spread the disease. 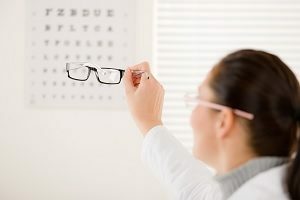 If you’ve tried some basic home remedies for chemosis symptoms and you are not satisfied with the results you’ve received, it is time to contact a physician. Your doctor will give you a basic health exam. How much swelling do you have? When do you have swelling? Is the swelling constant or does it come and go? Does anything you do make your eye feel better? Does anything you do make your eye feel worse? Are you having breathing as well as eye problems? A doctor may ask this question if they are concerned about an allergic reaction. Are you experiencing blurred vision? If you contract chemosis after an eye surgery, you may not be able to prevent chemosis. But in most other types, the prognosis for eyes that feel better is good, but in some cases, relief may take time. While eye surgeons strive to prevent chemosis with eye surgery, it still occurs. No one is to blame. It just happens. Be sure to avoid using steroid eye drops for an extended time, and use your lubricating drops or any other medication the doctor may advise. Chemosis after eye surgery usually resolves within six weeks to about three months. Some of the symptoms of chemosis will resolve to a certain extent if the source of the allergen is removed. Treating environmental allergies with medication should help these types of allergies as well as the resulting chemosis. For most people, using an air filter, antihistamines, a medication with the capability to reduce swelling and hydrating eye drops assists a patient in getting through the tough times of the year when their allergens flare up. Usually, these allergy flares last for about two weeks, at which time the source of the irritation is gone. Indoor environment allergens may require an air filter, a deep clean your home to remove dust and mold, and the right combination of medications. There is no prescribed amount of time for people to receive relief from chemosis. Once the allergens are taken care of, and the correct medications are given, a person’s eyes will experience relief. The eye disorder can cause uneven looking eyes due to swelling. The eyeball can look like it is crooked in its socket, but it is not. Treatment with eye drops and cold compresses will most likely help this condition, but results may take several weeks to resolve. If a patient is rubbing their eyes and has chemosis, they must discover why they are rubbing their eyes. On the other hand, if a person is rubbing their eye due to pain or allergies, these underlying causes will need to be resolved before the individual can reasonably quit rubbing their eyes. This condition doesn’t need to be a serious problem or a big source of discomfort for you. As soon as you notice symptoms like itching, running, puffiness, blurry vision and red eyes, try a few basic home remedies. If you have recently had surgery or if the symptoms persist, contact your eye doctor right away. Try not to rub your eyes or irritate them any further. Your physician can determine whether you have allergies, chemosis, an eye infection, or some other eye problem that needs to be treated. He or she will be able to treat your eyes and get them on the road to a speedy recovery.